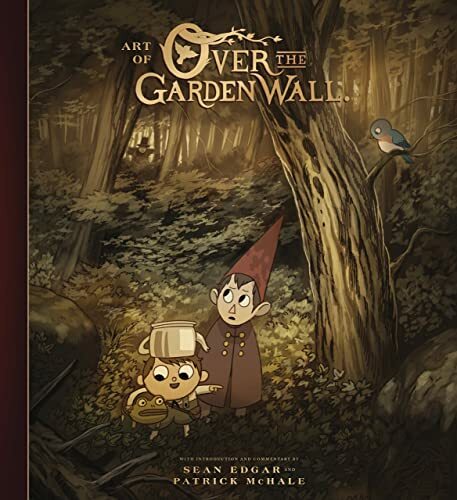 This is the companion artbook for Over the Garden Wall, an American animated television miniseries created by Patrick McHale for Cartoon Network. This 184-page hardcover is filled with concept art, sketches, character designs and the beautiful environment from the animation. All that is accompanied by lengthy commentary from the Patrick McHale and the artists. They talk about story ideas, characters, the setting, background and the animation process. It's an insightful read and really gives you a clear idea of the challenges and complexity when it comes to making animation. Reading about how this animation was made is the highlight of this book for me. The artworks included are lovely. There are plenty of sketches. There are some really funny character design ideas. There are also many variations included. I really like the children book drawing style. They are charming in their own way. You can almost see the artists having fun drawing and coming up with all these characters. This book is very well produced. It's huge so you can admire the art in detail. The colour reproduction is great and binding excellent. The art and text works well together. This is a terrific book for fans of the animation and animation. Highly recommended.